Ross Fitzpatrick from Australia has sent a scan of an old albumen photo of a lady taken in Brompton which he believes to be Ann Burfoot. 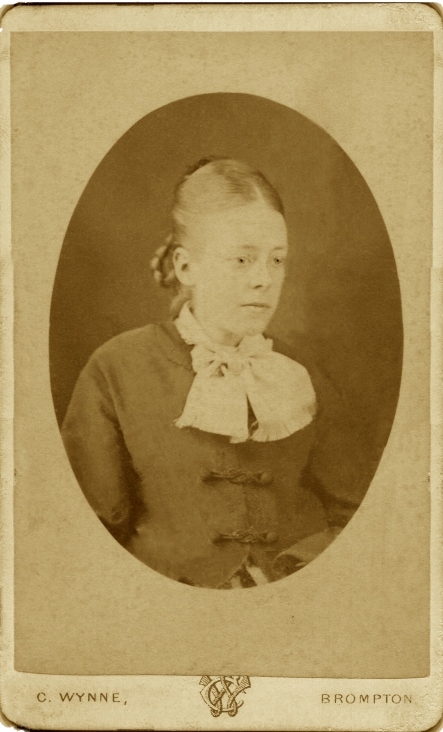 Ann was born in Isleworth in 1855, daughter of Benjamin Burfoot and his wife Jane (nee Powell). The photographer was Courtenay Wynne, see note at end. 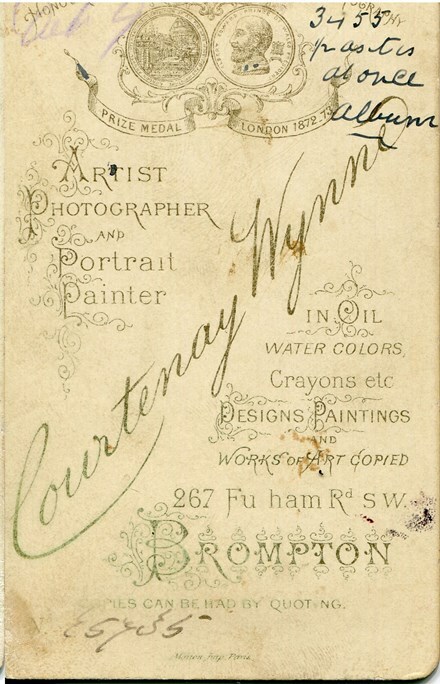 Wynne, Courtenay Henry Born in Clerkenwell, Islington 1841. Md Marie (b France 1838) 2 daughters. STUDIO: 267 Fulham Road, Chelsea 1869 - 1886. Successors to West of London Photographic Co; succeeded by Charles Gill. 1871: photographer & artist living at 267 Fulham Road, Chelsea. 1881: photographer living as above. BIBLIOGRAPHY: Art in the late exhibition. Letter IN PN March 1 1872.